'Cloverfield 4' Reportedly Complete and Ready to Hit Theaters This October - Horror News Network - The Horror News You Need! Fans might go from “not much Cloverfield” to “a whole lotta Cloverfield” in just a few short months! In early January, we learned that the release date for the yet-to-be titled third entry in the Cloverfield franchise was delayed (again) to April of 2018. The original release date for that film was scheduled for way back in February of 2017. It then got pushed to October, 2017 and then February 2018 before landing on its final (?) release date this April. Now, according to a special report, the fourth Cloverfield film will hit theaters just six months after the third one premieres! SlashFilm reports that Cloverfield 4 is actually a previously-reported project originally titled Overlord… a supernatural story set in Europe during World War II. 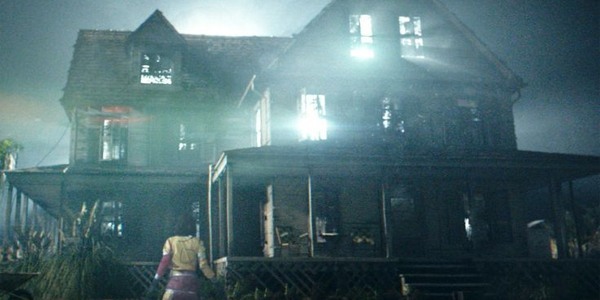 This isn’t a stretch because 10 Cloverfield Lane was originally written by Damien Chazelle as a completely different story, separate from the Cloverfield universe, and Cloverfield 3 started out as a separate project entitled God Particle… which now might be called Cloverfield Station (Hooray for confusing secrecy!) What is surprising is the rapid release of sequels after years of inactivity. Cloverfield originally hit theaters in January of 2008, and its sequel dropped in March of 2016. The film is directed by Julius Avery (Son of a Gun) and stars Wyatt Russell (22 Jump Street) and Jovan Adepo (Fences). According to Box Office Mojo, it is currently scheduled to hit theaters on October 26th, 2018. Keep in mind that none of this has been confirmed by Paramount or Bad Robot, and the groups have been extremely secretive about the Cloverfield franchise since 2008. However, the news is currently breaking on several prominent outlets, so the information seems to be worth considering. Only time will tell which movies are really Cloverfield movies, and when they will hit theaters! Stay tuned to Horror News Network for details on all future Cloverfield sequels… whenever they may come out!